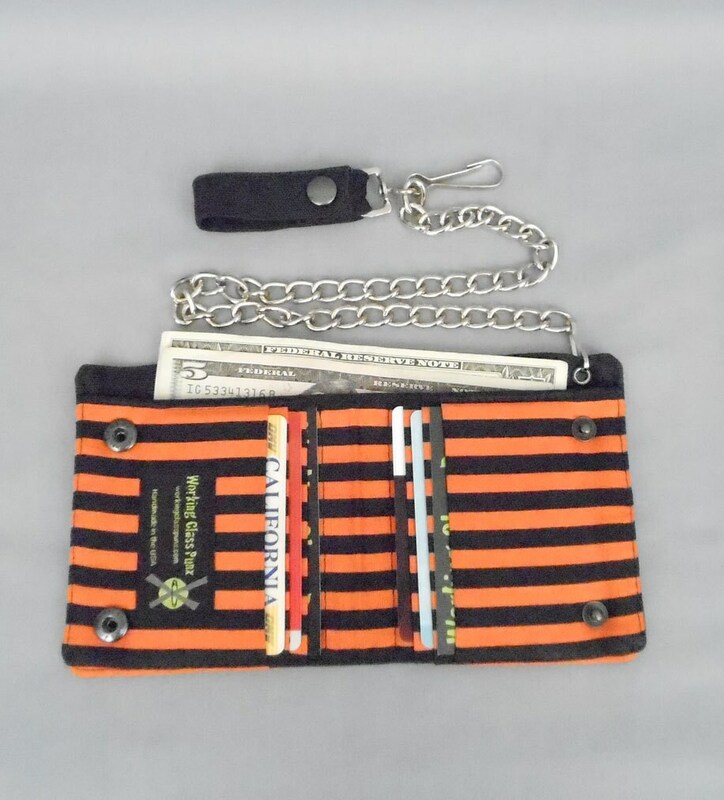 Vegan, black canvas bi-fold chain wallet features pockets made with 100% cotton black and orange stripe fabric. 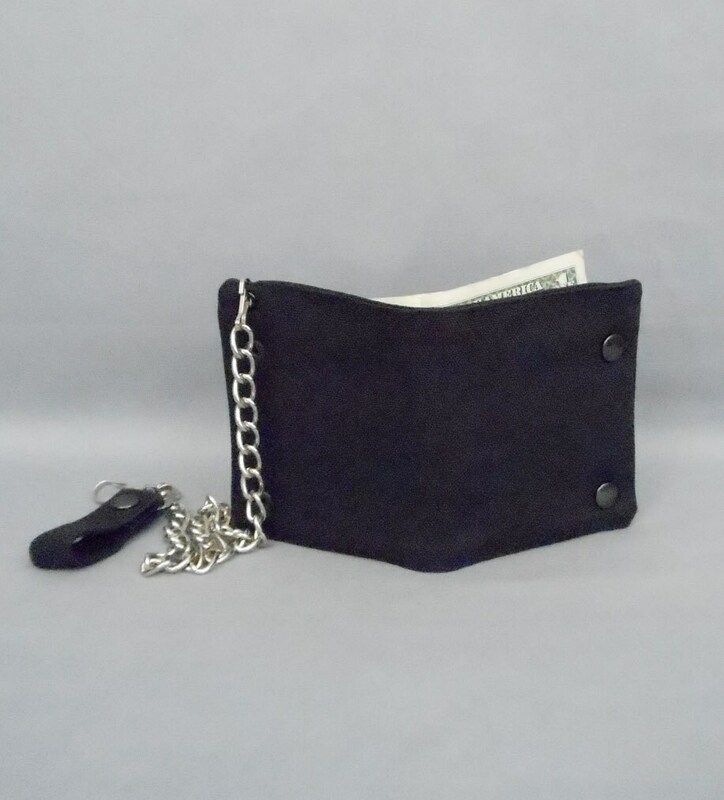 This is the second wallet I've purchased from this shop. The first held up well for a damn long time. The wallet met its demise only when someone broke into my car and I was silly enough to have left my wallet in there. I bought another cause yeah, the first was that solid. Very awesome, very orange and black. (yay!) 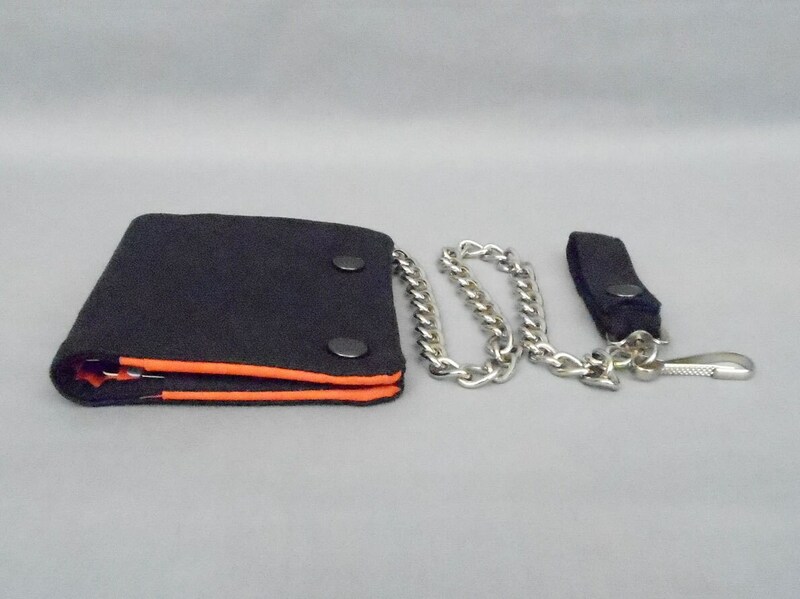 Much needed replacement for my old wallet. 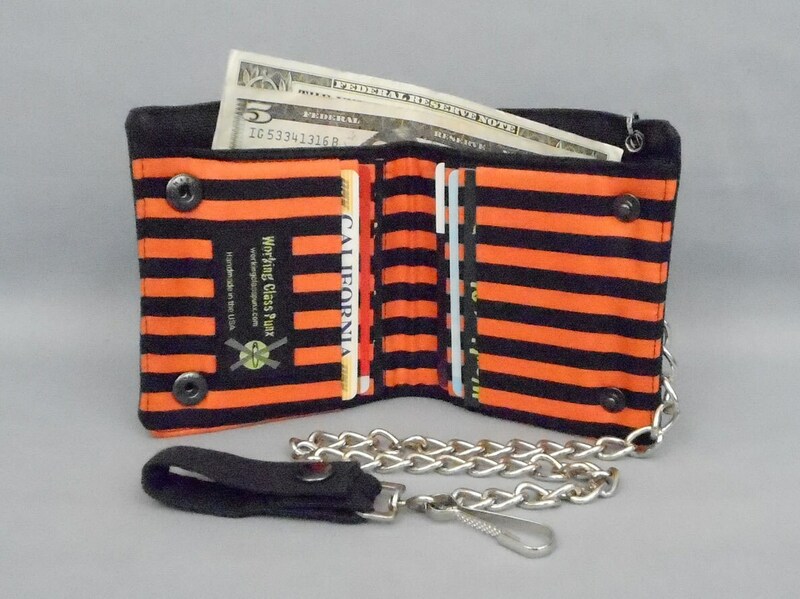 Awesome wallet, perfectly made. Thanks! Excellent quality and craftsmanship! Love the color! Very well done! Working class!